After reading (with considerable interest) your letter of February 27, I put it aside with the intention of responding quickly. Now it is July 12, and I am just now writing the reply. I apologize for the extreme delay. As this terribly belated letter unfolds, you will understand at least some of the reason for the delay. I intend to post your letter on my blog for all to share. I will redact at least one segment because I feel it might be a bit to private for me to share without your explicit permission. I intend to respond to your letter on a paragraph by paragraph basis. I'll preface each paragraph with the author, either you or me. I don't have many formatting options when writing via JPay. If you forgive me the convenience, most of my reply will be as I just described. On the plus side, it will allow you to see what I posted about you and your letter, and it will remind you of what you wrote so long ago. Skinner: Hey man, it seems like we'd sort of lost contact for a minute. 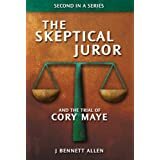 I am writing in reference to the book you sent me out of the Skeptical Juror series. That has to to be one of the most well researched, logically analyzed reviews of a criminal case I've ever read. Allen: I don't actually recall which of the three I sent you, but thank you for the compliment. Skinner: And yet, knowing what I do about criminal law, forensic disciplines & human behavior, I was able to instantly spot the flaws in it or, potential areas of error. 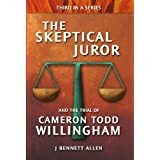 Allen: I hope you mean that you were able to spot the flaws and potential areas of error in the trial itself, rather than in my analysis of the trial. Either way, I have no doubt you are capable of doing so. Skinner: I remember a little about you, I think I once teased you about being a rocket scientist? Seems your neice mentioned to me you were an aerospace engineer? I know, from my limited contact/involvement w/you that you are definitely an exceedingly brilliant man. Allen: I was indeed an aerospace engineer, but I worked on the design of commerical aircraft rather than rockets. My job classification did include both the words engineer and scientist, but probably because the company was not clear on the distinction. Nonetheless, I guess that makes me officially a scientist. Allen: I abandoned aerospace more than a decade ago out of frustration that the industry is glacially slow to pursue new, innovative designs. I now describe myself as a recovering engineer. The Skeptical Spouse assures me I will never recover. I'm geeked out for life. Allen: Regarding your second (overly-kind) compliment, there is an abundance of evidence to the contrary. I will accept, however, that I can be pretty darn persistent. That frequently annoying trait can easily be misinterpreted as either stupid or brilliant when it fact it only implies stubbornness. Skinner: I think we have some similar goals/interests in the legal field, aside from my case. I'm very interested in discussing that w/ you, if you're amenable to it? Allen: I'm amenable as all get out, Hank. If you should write again, I'll make a good faith effort to be prompt with my reply. Skinner: I'm sorry that we didn't get the book wrote about my case but it ended up that you were working w/ a too compressed time schedule & the time wasn't in the best interest of the defense goals, while we had this thing in the U.S. Supreme Court & immediately afterward. This crazy D.A. was still trying to get me killed. I don't know if you're still keeping up w/ what's going on w/ me but I've just barely survived another execution date where I came w/in two days of dying 11.09.11. At least I got to see Sandrine. Allen: I offered to write of your case only if you and your attorneys thought it would help. I absolutely understand that my writing could have aggravated rather than helped your case. I'm working on several cases behind the scenes that I choose not to write about. I hope I understand the value of discretion. That's why I gave you guys a pocket veto option. Allen: I have indeed been keeping up with your case. In fact, I broke an oath so that I could write about you winning the right to have the DNA tested. I had previously told my readers that I would not write about anything other than impending executions (each of which I review) and the case of Preston Hughes III. I have yet to break that oath on any other occasion, though I have been sorely tempted. More about Preston Hughes in a bit. Allen: I guess I'll be breaking the oath again just to post this letter. I'll make up a lame excuse. Skinner: In June of last year at the end of the legislative session they changed the DNA law & took out the "no fault" provision that the CCA had used to deny me in Sept 2009. We filed a new Ch 64 DNA motion on Sept 06th, 2011 five days after the new law took effect Sept 01st. The trial judge, Schmemmert (that's a combo of Schmuck/Emmert) sat on it for 6 wks & summarily denied it, no reason given. The CCA issued a stay at the last minute, copy enclosed. Allen: I therefore border on being completely out-of-line here to suggest that your spite is not your most endearing quality. (Emoticon smile. I worked for a long time trying to phrase that criticism so discreetly.) Your writing is on occasion touched with invective. I recall specifically your public writing of DA Lynn Switzer and your New Hell Hole News #28. I note that most exonerees seem to be not angry, not bitter, not spiteful. I find that amazing and impressive. Though it is not their intent, it makes them seem (to the viewer) that they are bigger than the system that treated them so terribly. Allen: Assuming the DNA testing in your case comes out as expected, as I certainly hope it does, you may soon join the ranks of the exonerees. I fear that I would not have their composure and grace. I fear that I would not have it within me to be gracious (or at least silent) to everyone who had rained down injustice, privation, and sorrow upon me. I suspect, however, that you do have it within you. Perhaps you might put some thought into such issues. Skinner: The trial judge Schmemmert was ordered to go back & make findings on his denial - the reason for it. So he just said I failed to prove the evidence I want to test, even if it provided exculpatory results, woudn't mee the standard of 64.03 - that there's a reasonable probability I wouldn't have been tried or convicted. He also "found" that I was filing the motion only for purposes of delay or thwarting the adminstration of justice or whatever. That was really crazy in light of the language used in the CCA stay order (enclosed). Skinner: In other events, you keep up with the movie business at all? As you probably know, my wife is in such Biz. You ever hear of Werner Herzog? Check him out on the internet. I couldn't have found a bettter friend or person to produce/direct a documentary w/ me in it. Thank God I'm not the only one in it. Allen: Your wife is an amazing woman. In that regard, you are blessed. Allen: I do know of Werner Herzog. A while ago, I watched Fitzcarraldo. Good movie. Wikipedia provides this summary. Wikipedia: Fitzcarraldo is a 1982 film written and directed by Werner Herzog and starring Klaus Kinski as the title character. It portrays would-be rubber baron Brian Sweeney Fitzgerald, an Irishman known as Fitzcarraldo in Peru, who has to pull a steamship over a steep hill in order to access a rich rubber territory. The film is derived from the real-life story of Peruvian rubber baron Carlos Fitzcarrald. Allen: Herzog also co-wrote "Incident at Loch Ness", which seemed normal at first, then a bit strange, then very strange, then hilarious. Skinner: So ... the movie is called "Gazing into the Abyss: Tales of Death, Tales of life." There's a lot of press converage you can check out on the internet, if you want. Skinner: So, if you will, tell me what's been up with you? Allen: We are all doing fine here. Our database design business is stuggling due in part due to the economy and in part due to my waning attention to it. I'm busy writing about wrongful convictions in general, and I am working hard on three cases in particular. 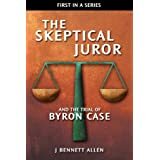 I still work to free Byron Case, the subject of my first book. We're making progress, but other than that I feel it unwise to discuss his case. Allen: I more recently (assuming two years ago can be considered in way recent) I took on the case of Michael Ledford. Michael was convicted of killing his one-year old son via arson. He confessed to it, at least briefly. The problem is two-fold. First, His confession is wildly inconsistent with the crime scene evidence. Second, the fire was not caused by arson, but by an electrical failure common to several units in the complex. Once again, I feel it unwise to casually discuss his case, at least for now. Allen: I even more recently unilaterally [meaning without Preston's knowledge -- tsj] took on the case of Preston Hughes III, who is sharing Texas death row with you. The evidence against him is superficially overwhelming, but in reality little more than a poorly manufactured house of cards. Because he may be soon given an execution date, I have been spending long hours analyzing the case documents and presenting my results publicly. Though I have been doing this since Janurary or so, I still have a long way to go. I have written 35 or so extended posts already, and I believe I will end up with over 50 before I am through. Preston and I have only recently started communicating. Allen; These three cases go a long way to explaining my delay in responding to your letter. You, Hank Skinner, have some of the best legal minds in the world working to free you. In that regard also, you are blessed. The three people I am trying to free have little more than their families and me. Byron Case has no attorney whatsoever. Michael Ledford has an attorney only for mundane, day-to-day purposes. Preston Hughes believes his court-appointed attorney is acting contrary to Preston's best interests and clearly-stated desires. You must certainly realize, Hank, that if you did not have such generous help from such highly-skilled, assertive counsel, you would be long gone. Skinner: Incidentally, how would you feel about writing the book still, but waiting until I get out of here (if that happens) & us doing it together? Of course, if they kill me I guess you can do whatever you want do do, by yourself. Ha/ha. Allen: That's certainly a generous offer, and it looks as if you might indeed be getting out of there. You've been quoted seemingly everywhere as saying your long nightmare may soon be over. That said, the chance that two personalities such as yours and mine could collaborate on a book is exceptionally unlikely. Anyway, my next book is already long overdue. It will be about the rate of wrongful conviction. (More and more evidence is coming to light that the rate is around 10%.) If, after that book I write about a specific case, I suspect I will write about Michael Ledford. When you walk free, Michael Ledford will still be on the inside. Skinner: I would really like to meet The Skeptical Niece and The Skeptical Spouse too. So would Sandrine. Allen: I'm not a particularly public person, but it would certainly be nice to meet the two of you when you are not under the limelight. Skinner: In reality, I doubt seriously that I will ever get out of here - but one has to hope for something, huh. I should've been home & drinking a cold beer 13 years ago. "Justice" is certainly not what it's cracked up to be. Allen: Things have really changed since you wrote these words. Skinner: I'm interested in semiotics. You ever hear of Umberto Eco? He is a professor of semiotics in Milan, Italy. I've read several of his books. His methodoogy of communicating via a story is very singlular, to say the least. It's actually about 10 different stories at once, epending on your ability to comprehend what he's actually saying - his references & symbolisms are amazing. I just happened to be familiar w/a lot of the arcana etc he used in one of his most recent books, "The Prague Cemetery" & I caught up in it sorta by accident. So I thought about it & I let it stew, I went back & I reread it, it was like a flower unfolding. It reminds me of what Katherine Neville said about one of her books, "The Eight" -- "What you get out of it totally depends on what you bring into it. I had a similar but different experience with it. Allen: I have indeed heard of Umberto Eco. The Name of the Rose is one of my favorite books. I like that book so much I tried several times to read another of his books, Foucault's Pendulum, but I couldn't force myself to finish it. He's not an easy read. I guess I don't bring enough to his books. My bad. Skinner: I take it you're mainly concerned w/ the branches / disciplines of semiotics dealing w/ pragmatics & semantics, not syntactics. Allen: So that the readers know, you are referring to our company's name of Allen & Allen Semiotics, Inc. Again for the readers, I note that semiotics is the theory and study of signs and symbols, especially as elements of language or other systems of communication. The Skeptical Spouse has a degree in semiotics. I have a degree in engineering. I'll ask her which of the three we are mainly concerned with. Skinner: I'll be hoping to hear from you soon. Pls tell the Skeptical Niece I'd like to hear from her too if she'd care to write. Allen: And best regards to you too, Hank. Do you believe that Hank is actually innocent? I suspect that he is innocent, but I do not know that for a fact. My biggest remaining concern among the evidence is the cut to his hand. Though you didn't ask, I offer this as well: I absolutely believe no one should be executed while potentially probative DNA remains untested. However, even from the information in this article it is clear that that things remain inconclusive. Also, the disappearance of the jacket is EXTREMELY suspicious, especially after what we saw in the Preston Hughes case. The jacket is a red herring: Ellis testified Donnell wore a tan windbreaker jacket all of the time. However, the jacket found at the crime scene was gray - not tan. (citing 24 RR 216). Skinner v Quaterman 576 F.3d 214 (2009). Additionally, Twila's mother testified that the jacket belonged to and was worn by Twila. Also, the recent DNA results are hardly inconclusive. I'm interested as to how a knife with Skinner's DNA on the handle along with Caler (one of the stabbing victims) got onto the front porch. Allen, do you have any theories about that? I think TSJ has been well groomed by skinner,and is in danger of being known as a death row groupie...were expecetd to believe that someone came in,butchered the 3 victims,then left skinner asleep on the couch,there was no sexual assault by the uncle, dna has proved that,and the windbreaker was tan,and owned by twila. The very latest DNA(2012) implicates skinner even further in the murders,places him in the bedrooms where the murders occured,why did he run? why did he threaten the neihgbour not to call the police? come on hank/TSK..enoughs enough. I don't recall exactly how I began communicating with him. I think it started with me sending him a JPay letter. To use JPay, go to jpay.com, sign up for an account (which is free), then locate the inmate with whom you wish to correspond by the inmate state and inmate number. Hank's inmate number is 00999143. It costs $.42 per page, or whatever the cost of a first class stamp is at the time. You have to purchase "stamps" in advance from the JPay site. You will have to use your credit card to do so. When you send your letter, it is processed by the prison staff, printed out, and handed to the prisoner. They say it can take up to 48 hours, but it frequently takes place on the same day, or within a day, depending on the circumstances. Some places don't deliver on Sunday and/or Monday. The inmate cannot write back to you via JPay. You will receive no confirmation that the Jpay letter was received. If you want to start a 2-way confirmation, you will need to include a postal address in your letter. Most prisoners are eager to exchange mail. As for trustworthiness, I have used it a number of times for a variety of inmates, and I have been satisfied each time. It's on the expensive side, and it's on the slow side, but it is still one of the fastest ways of communicating. I prefer it to U.S. Mail. I am from the UK, and money wise it would be cheaper for me to use JPay I am just wary of my address, which brings me to a loss when I have to give my address anyway for him to communicate back :-( gutted. Really wanted to contact Him.